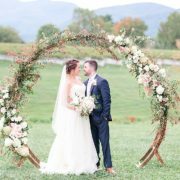 Wedding insurance is something all brides should consider! 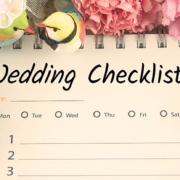 Though you might not want to think about it, disasters can strike your wedding day. From a sudden cancellation to stolen gifts to a damaged gown, wedding insurance can help protect you against the unforeseen, and can also afford you great peace of mind. 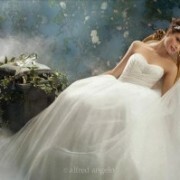 Wedding insurance is not just for the military bride or let’s face it the runaway bride. 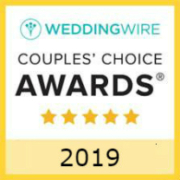 Why wedding insurance? 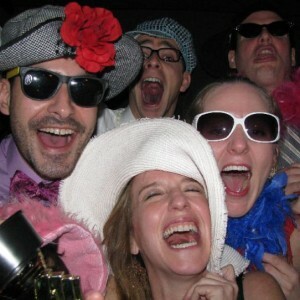 For the parents of the bride or groom: an investment in your child’s wedding is an investment in their happiness. You want to protect their dreams of a perfect wedding–and your own financial security. 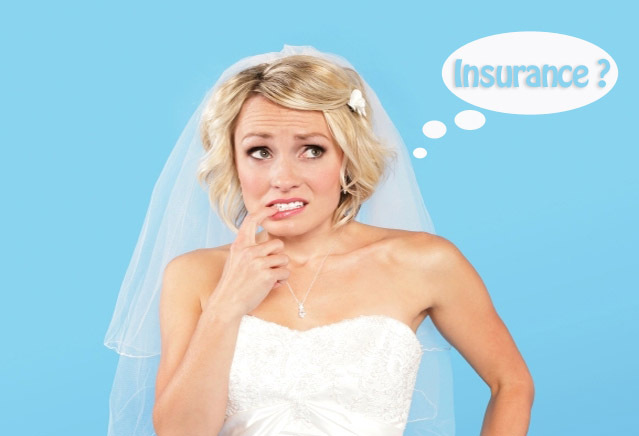 If the unforeseen occurs, wedding insurance is there. Basically, wedding insurance protects a couple’s investment from circumstances beyond their control, and reimburses expenses incurred. For example, what if your limo driver doesn’t show up and you have to book another one the morning of the wedding– for three times the price? Or what if the groom’s custom-made tuxedo is lost in airport baggage, and he has to buy a new one the day before the wedding? 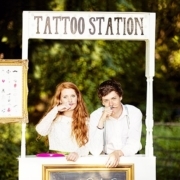 What if your reception space goes out of business a month before the wedding, and you lose your deposit and have to book another space? 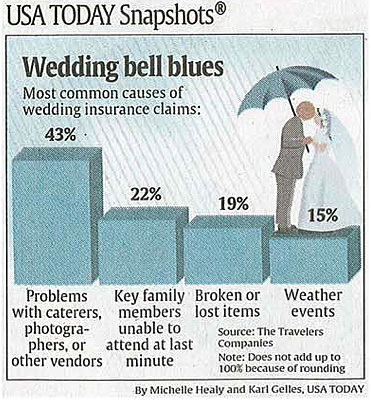 These are the types of big-day financial losses that wedding insurance can help to protect. 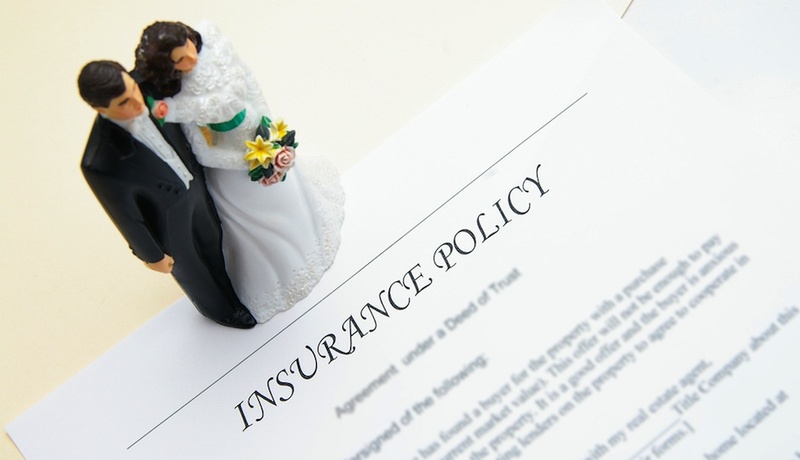 wedding insurance becomes more of a necessity. After all, you wouldn’t buy a new car that cost that much without insuring it against damage. 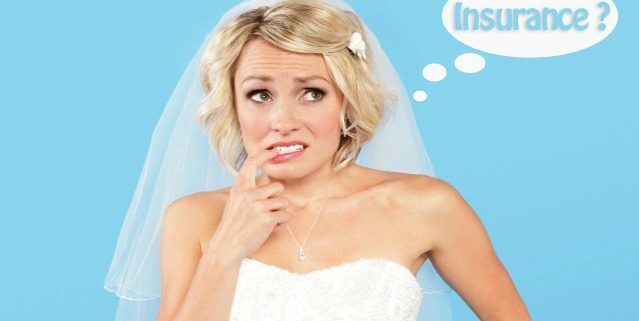 Wedding insurance can save you an unnecessary headache and money loss.